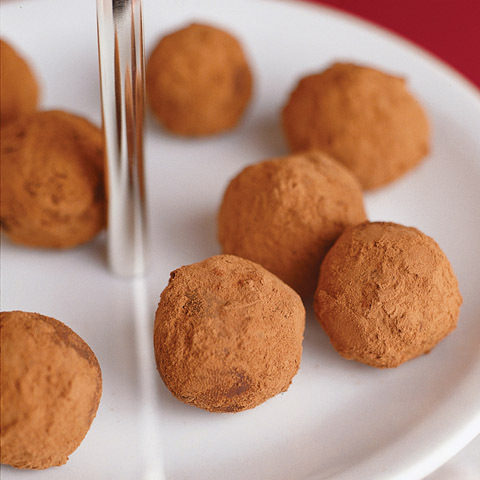 Mix cream cheese and cookie crumbs until blended; shape into 40 (1-inch) balls. 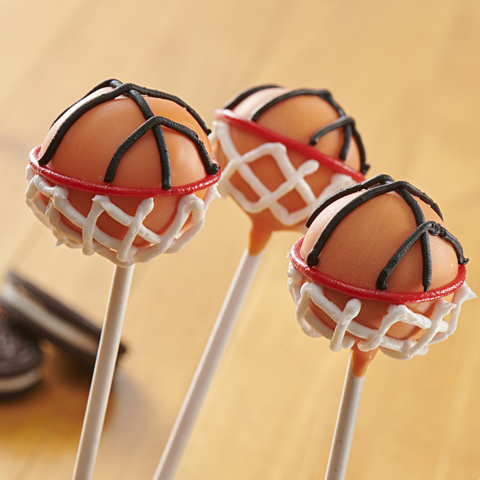 Dip 1 lollipop stick into melted white or black candy coating, then insert dipped end into center of 1 cookie ball. Place on waxed paper-covered rimmed baking sheet. Repeat with additional lollipop sticks and remaining cookie balls. Freeze 10 min. 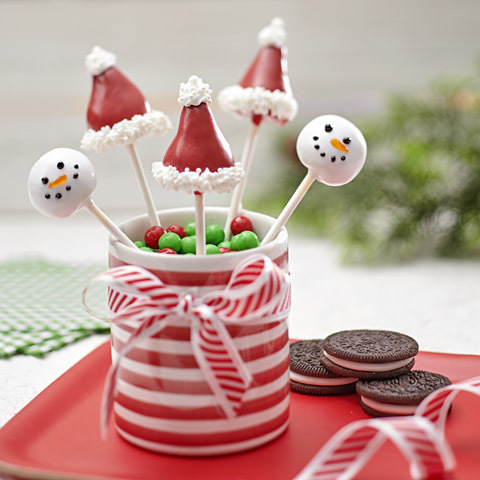 Dip cookie pops, 1 at a time, into melted white candy coating, turning to evenly coat each cookie ball with candy coating. Return to baking sheet. 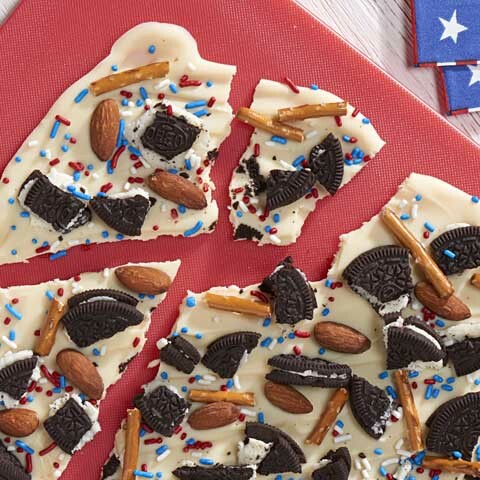 Immediately drizzle lightly with some of the melted black candy coating, then add decorations as desired. 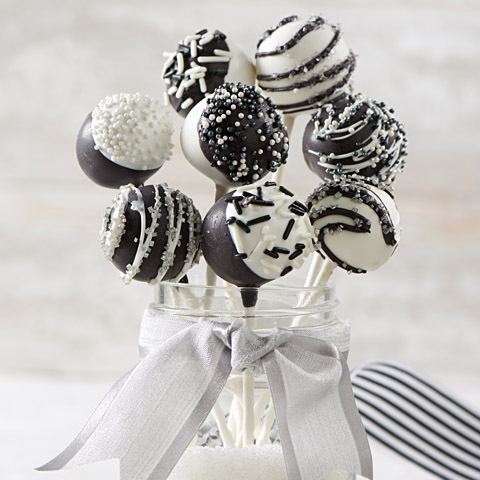 Repeat with remaining cookie pops, coating the balls with the remaining melted black candy coating before drizzling with the remaining melted white candy coating. Add remaining decorations. Size WiseTake the time to savor the flavor of this special treat that can be included in a balanced diet on occasion. How to StoreKeep cookie pops refrigerated. 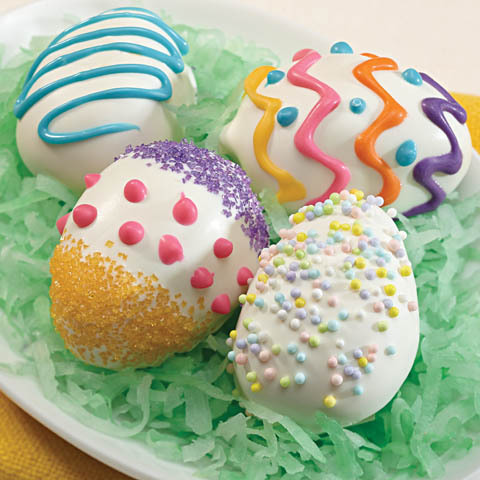 VariationPrepare cream cheese mixture, shape into balls and insert lollipop sticks into balls as directed; freeze 10 min. Dip half of each cookie ball into melted black candy coating, then dip other half into melted white candy coating. Decorate the white-coated halves with dark silver or black sprinkles, then dip the black-dipped halves with silver or white sprinkles.